The stark beauty of the Northumberland coast is one of our region’s true jewels. However, eating out in these parts has sometimes been a less than beautiful affair. It’s almost as if the nicer the scenery, the worse the food. Mrs Diner and I are resigned to expecting a duff meal the moment we pack the beach umbrellas in the car. Sorry, Northumberland. But I’m happy to report that that’s all in the past. 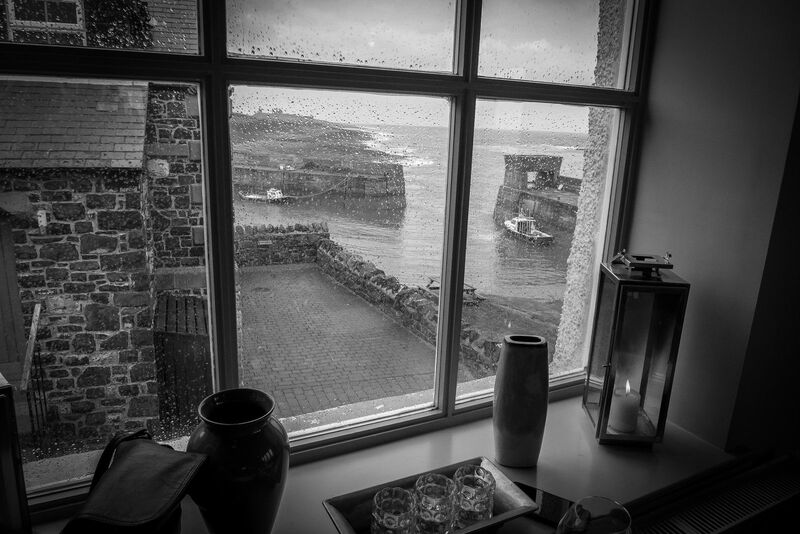 Peering out of our tableside window at a rain-lashed Craster harbour, the gun-metal depths of the North Sea leading the eye up the coast to Dunstanburgh Castle, I was delighted with our choice of dinner venue. There is something satisfying about eating food in surroundings that reflect its origins. 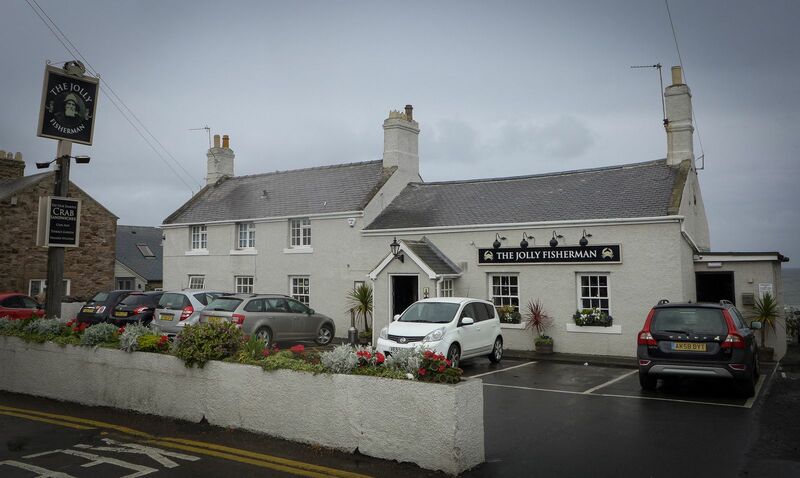 But not only does The Jolly Fisherman have an admirable range of fresh fish on its evening menu, the chef really knows how to cook them. We arrived earlier than anticipated, partly because the rain had scared the dawdling tourists off the roads, but also because we’d set aside time for a pre-dinner amble around the harbour. As no one in their right mind would choose to amble anywhere with the sky raining a menagerie of cats and dogs, we retreated to the Jolly pub round the corner. So much for our Northumbrian summer. We’re used to it, of course. We once organised a July picnic up the coast at Embleton, as a summer treat for some friends from London, and just as we unpacked the sandwiches we were all nearly decapitated by a storm of hailstones. Thankfully Mrs Diner had brought us rum toddies in hip flasks, so we merrily sat and shivered in our Parkas. Our friends from London couldn’t believe we could live in such a place. 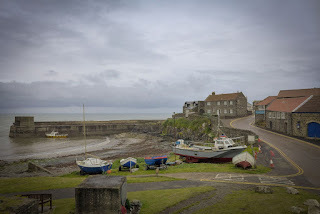 The Jolly Fisherman sits precisely opposite L Robson and Sons smokehouse, producers of the rightly world-famous Craster kipper. The wonderful aroma of wood smoke does an excellent job of stoking the appetite. “I don’t think I could live here,” said Mrs Diner. “I’d be constantly starving”. “And your hair would stink of smoked herring,” I added unkindly. Taking a seat at the bar while the restaurant was readied, we had a chance to admire the 2012 refurbishment overseen by its owner David Whitehead, a former professional rugby player. Thankfully it still retains the traditional trappings of a country boozer: stone floor, beamed ceilings and open fireplace all present and correct. 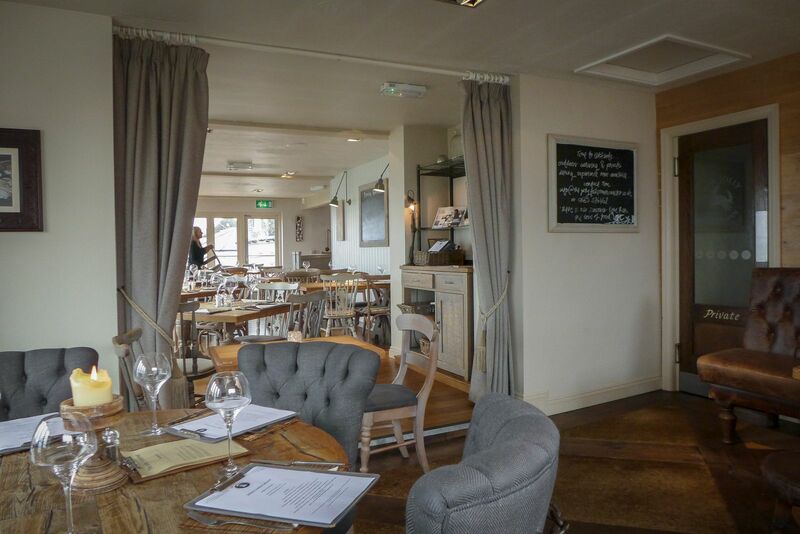 But the restaurant, situated to the back of the building, has a very different feel. 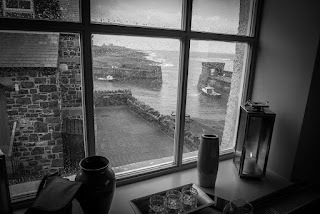 We settled into comfortable seats, admiring the superb views from the large windows in a room that has been comprehensively Farrow and Balled. Even on such a dreary day, the space was all lightness and calm good taste. 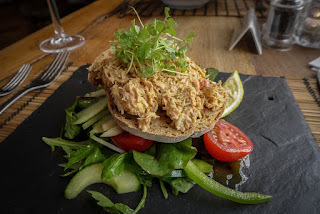 I ordered crab on toast because there are few better things in life, and also because I’ve been taught it’s against the law to visit Craster without sampling the crab at The Jolly Fisherman. I have eaten crab sandwiches in this pub since I was first brought here as a child. And kippers for breakfast the following morning, of course. This crab dish demonstrated both class and restraint; wonderfully fresh brown and white meat were perked up with just a touch of malt vinegar and English mustard. Dainty fronds of lemon verbena added vegetal zest, while the toast was a slice of excellent sourdough from Felton’s Running Fox bakery. A dollop of good mango chutney provided some tang and fruitiness, which were picked up on by a tropical glass of Chardonnay. Mrs Diner’s salmon fishcake, sporting a generous dose of good quality fish, was supremely comforting. 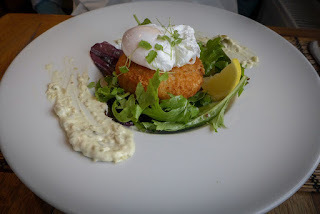 It was crowned, figuratively and literally, by a perfectly poached egg and also livened up by a smear of excellent tartare. Simple enough, but rendered delicious by excellent ingredients and assured cooking. 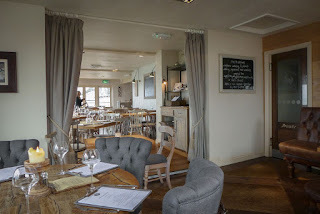 The steady hand at the tiller is John Blackmore, an experienced chef who earned his reputation at Linden Hall and at Newcastle United’s Magpie Room, gaining 3 AA rosettes for the former and an entry into the Good Food Guide for the latter. His fish stew was a summery blast of flavour served in a prettily glazed bowl. 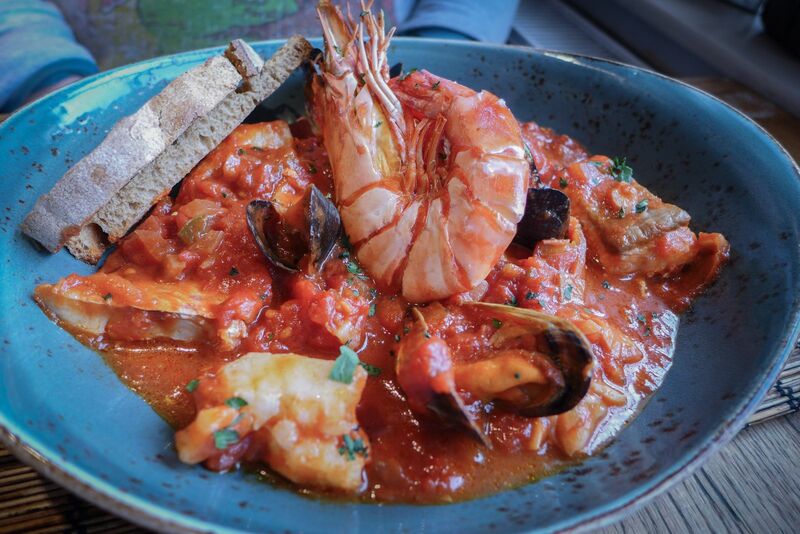 Red mullet, mussels and prawns were at home in a tomato-based sauce cooked just long enough to develop some proper depth. The advertised wild garlic flavour didn’t materialise, which was no loss, as they are now past their best: time for a menu reprint? Instead, chopped fennel in the stew base recalled the anise flavours of the south of France. A seriously good dish. 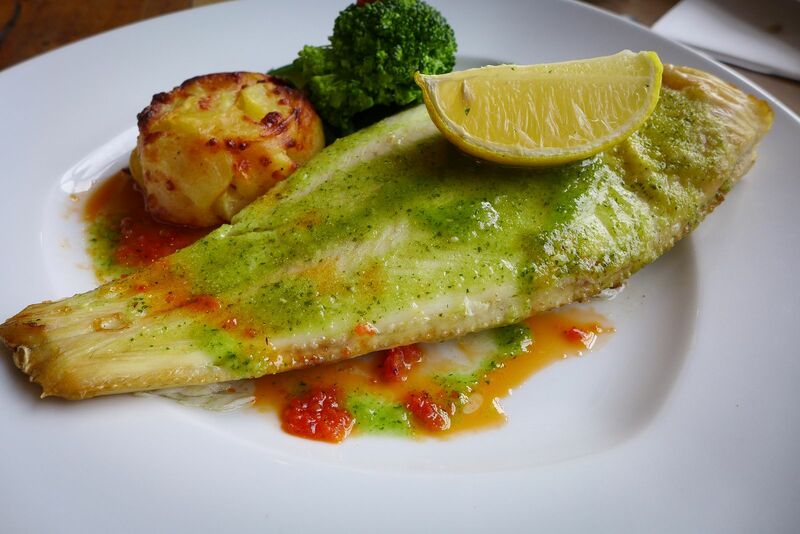 The Mediterranean theme continued with a light pesto dressing on a handsomely proportioned lemon sole, grilled just to the point where the flesh slips alluringly from the bone. If we’re being really picky, some char from a hotter grill would have been nice, and the accompanying dauphinoise, though garlicky, was a touch dry. Few wines go better with seafood than the flinty minerals of Picpoul de Pinet, so credit to the Jolly Fisherman for offering it by the glass. Compared to this quality, I’m afraid both our puddings were a bit meh. 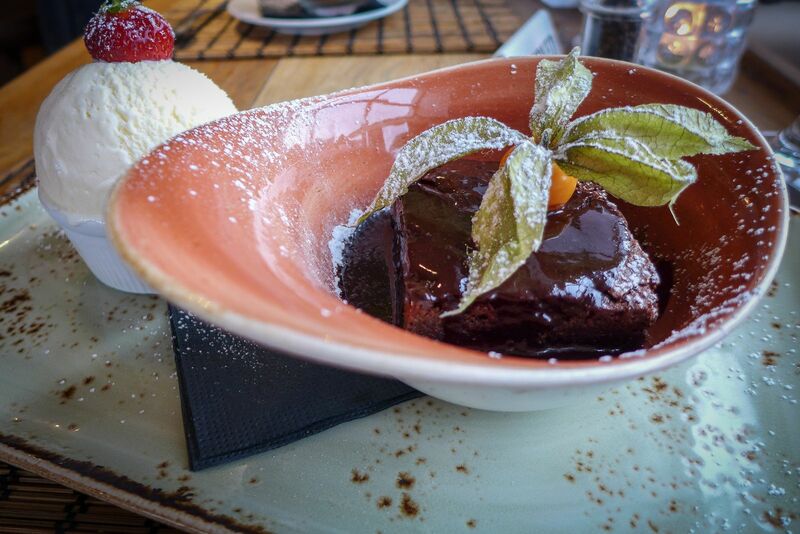 I don’t know who Rita is (she is credited with three of the dishes on the dessert menu) but she needs a new recipe for chocolate brownie, as mine was dry and biscuity. 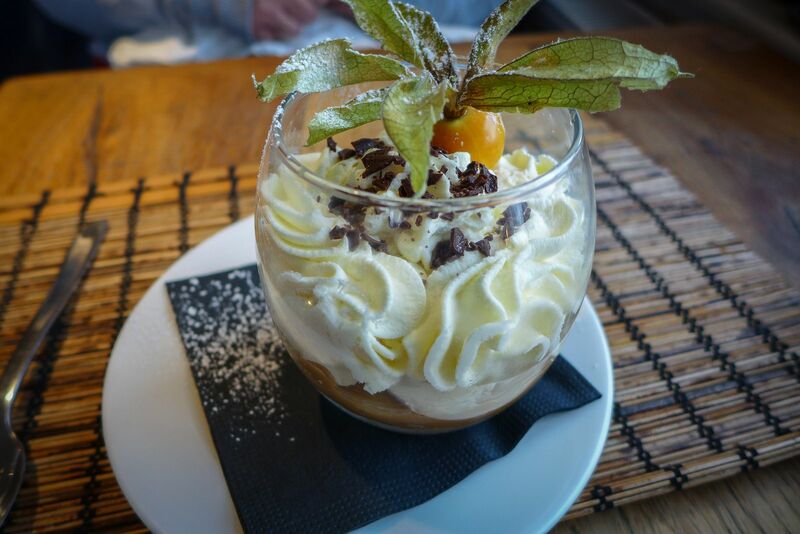 Mrs Diner’s banoffee pot was inoffensive but naïve, an assemblage of sliced fruit, whipped cream and toffee sauce. Both desserts had a physalis plonked on top, an affectation I can live without. Service was young, keen, but sketchy. We were never offered water, left with empty plates for long enough to notice them and the custard I asked to accompany my dessert turned into ice-cream by the time it emerged from the kitchen. This, and the underwhelming desserts, only slightly dampened what was otherwise an excellent meal. It is really heartening to find fish cooking of this quality at a venue that calls so clearly for it, but carnivores are catered well too. I spotted a sausage main course that offers a trio including wild boar and venison, and there were other venison dishes. A neighbour’s rib eye steaks and burgers looked excellent. Lamb comes from nearby Ingram valley, which is a very good sign. In fact, the menu is one of those sensible lists from which I would happily try just about anything. It all looks robust and reliable. The lunch menu, of which the crab sandwich would appear to be the star, looks very good too. Our bill came to just over £70 including wine: a fair price for food of this quality and such a great view. Even in the rain.